Sam Hall's HalCon Merch 2018! Hi! I'm Sam Hall, an illustrator/animator from Dartmouth NS. I focus mainly on RPG/Fantasy illustration and merch with a fun and whimsical theme. I've tabled at Hal-con 2016, as well as DCAF and Geequinox 2017 with friend/tablemate Lauren Adams. Please enjoy the following images of my principal sales items. Tabletop inventory shirts of my own design! They come in four colours, men's and women's sizes from S to XL, and have been very successful in the past year. My favourite part of cons is doing these 1$ speed commissions! I have a small hourglass to time the minute and my audience patter down to a science. 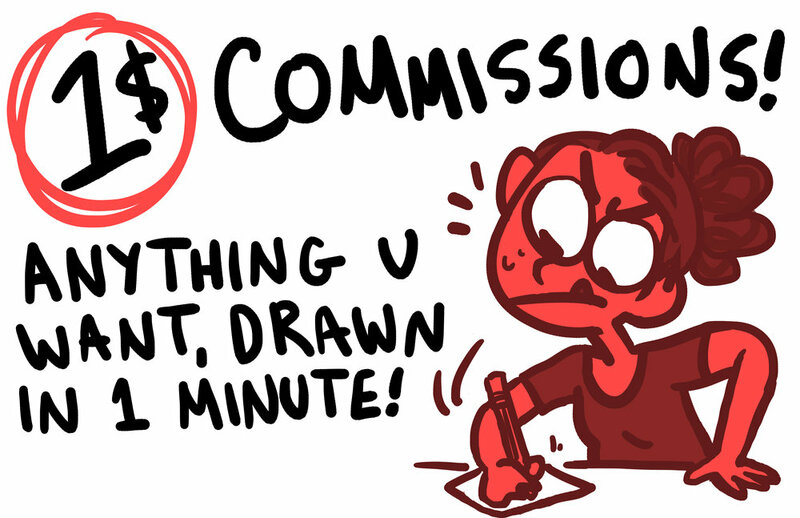 I will furiously draw for exactly 60 seconds. The low cost, one-of-a-kind result and the experience of watching live drawing has been very popular with con-goers-- I did around 350 of them over the course of Halcon 2016. Please see a small selection of examples to the right. Parody Stranger Things garments in tanktop and tshirt styles and hand-printed by yours truly (modeled by me, above). 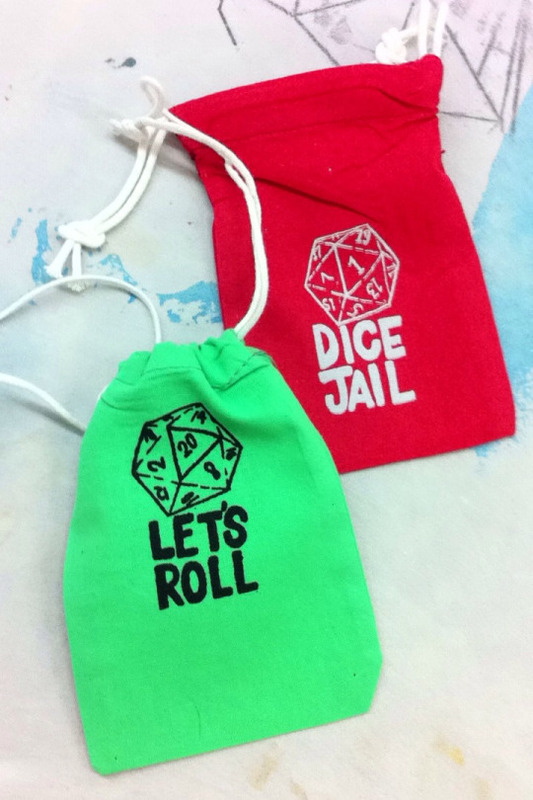 Hand-printed drawstring bags with my original designs. Need to send your D20 somewhere to think about what it's done?? I have the bag for you right here. I also offer original con commissions at a discounted rate from my usual work. 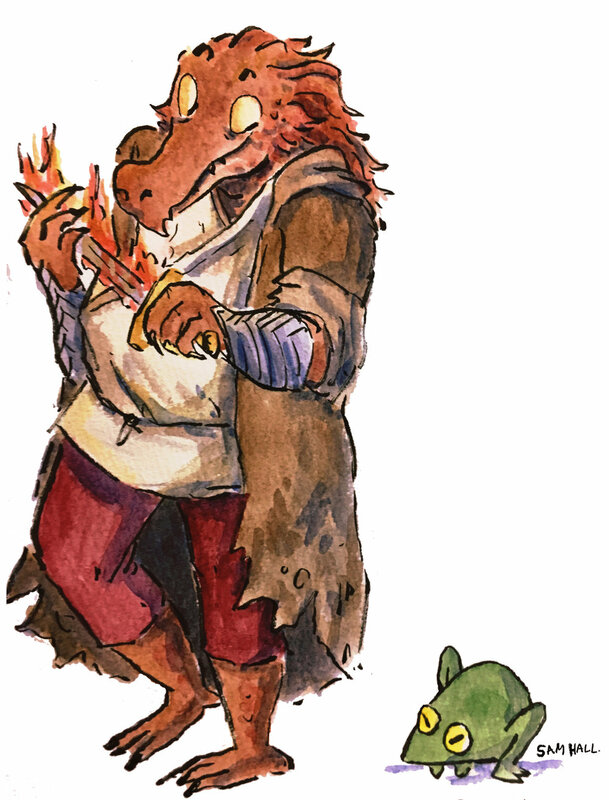 They are ink-and-watercolour paintings, generally of RPG characters or OCs, and are completed/delivered to the customer at the con.